For the past few years, I've been recommending the Nikon D750 to enthusiasts and semi-professionals needing a reliable DSLR to grow in to – probably more than any other ILC on the market. It was even my Gear of the Year in 2015 for its excellent feature set to price ratio. Though it debuted in late 2014, the D750 remains a relevant and reliable workhorse years later. 24MP of resolution on a full frame sensor is a sweet spot for a lot of shooters, and the D750 still offers competitive dynamic range and excellent high ISO performance. It also has terrific autofocus, with Nikon's reliable 3D Tracking. And as far as full frame DSLRs go, it's among the lightest ever made. But it's also a camera we know will likely stand the test of time thanks to aggressive weather-sealing and sturdy construction. 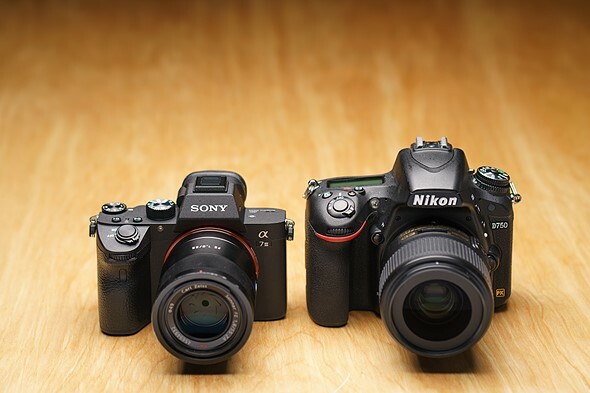 In short, the D750 has proven to be among the most future-proof full frame DSLRs in recent memory. Even today it's still priced aggressively enough – with technology that is relevant – to warrant my recommendation, not to mention the recommendation of the DPReview staff in our Best Camera Under $2000 roundup. Time for a new recommendation? I swapped out my Nikon D750 to shoot a show with the Sony a7 III: the combination of excellent AF coverage and good low light IQ left me questioning whether it's time to recommend this Sony over the Nikon I've come to love. But like all of us, the D750 is starting to show its age. Though it offers an articulating LCD (a Nikon full frame first), the live view experience is just plain unrefined when compared to a modern mirrorless camera. This is because the D750 relies on Contrast Detect AF in live view, which is painfully slow and often misses. 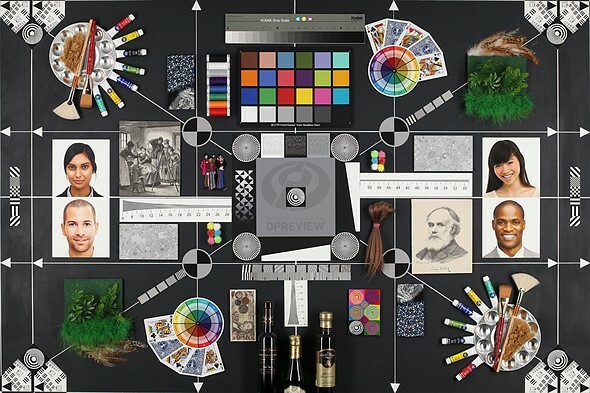 Though the 51-point AF system performs admirably, even in low light, it only covers the central potion of the frame, limiting compositional freedom when using 3D Tracking. And though the D750 offers decent-looking 1080/60p video, the lack of continuous AF in video limits its use. Plus the lack of 4K makes the camera's video spec feel dated. If only a camera matched or surpassed what the D750 is capable of, all for a similar cost! 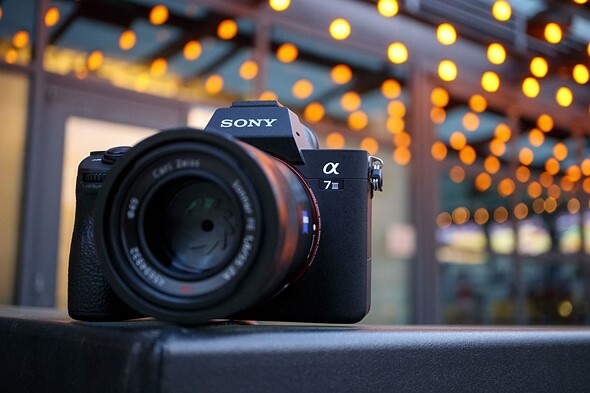 Enter the Sony a7 III. Its debut price is a couple hundred dollars less than that of the Nikon and as of this writing it can be had for just a few hundred dollars more than the now heavily discounted D750 (new). As a result, the a7 III just might be my go-to recommendation moving forward. On paper, it has all the ingredients to make it a relevant camera for years to come. This includes a 24MP Full Frame sensor, high-quality stabilized 4K video (with AF-C), AF points covering 93% of the frame with reliable subject tracking and Eye AF, solid battery life, a small form factor and good build quality. Plus, every lens you put on it – even adapted ones – automatically becomes stabilized thanks to its 5-axis IBIS system (rated at 5 stops). AF performance from the a7 III is excellent, even in challenging light. Of course specs are one thing and in the field operation is another – something a few readers occasionally forget. That said, I’ve been really impressed by how refined this recent generation of Sony full frame cameras are – the Sony a9 was even my 2017 Gear of the Year. And thankfully one evening spent shooting live music with the a7 III proved that it largely operates like its $4500 high-speed sibling. The a7 III's lock-on AF is reassuringly effective at tracking a subject and nailing focus in low light, just like the D750's 3D Tracking. The main difference? The AF point coverage is significantly greater on the Sony, giving me far more room to place my subject in the frame. On the downside, it’s nearly impossible to see what AF point you’ve selected on a Sony when shooting in the dark (or even in daylight) because the AF area does not illuminate when moved with the joystick. To work around this, I left my initial medium lock-on point dead center and began each new acquisition with my subject in the middle of the frame. Image quality also impressed me – I was pleased with the Raw files I came back with and was able to make some nice edits despite the high ISO nature of my shots. But don't take my word alone, have a look at our studio scene, which proves both cameras (a7 III and D750) perform exceptionally in low light. The a7 III's shadows are actually cleaner at high ISO, thanks to its higher dynamic range at ISOs above 500. The live view experience using the LCD, by the very nature of mirrorless, was also refreshing. Unlike the D750, AF works the same when using the LCD or EVF. This meant I could actually use the LCD to get shots without having to worry about missed focus. And while I didn't make use of the camera's silent shooting mode, it's something I could certainly see appealing to wedding or event shooters. Same goes for the a7 III's over-sampled 4K video; though I didn't put it to use at the show, the footage I've seen from fellow editors proves it's both extremely detailed and offers high dynamic range with minimal rolling shutter. Normally I micro adjust lenses before a shoot. With the a7 III there's no need. Despite my largely positive shooting experience with the camera, I still have a few hesitations about it: First, there is a perceivable lag when turning dials on the a7 III (and other Sony cameras for that matter), something that is not the case with other DSLRs at this price point. I also find the EVF can take a fraction of a second to engage when one’s eye is brought to the finder. This sounds like nitpicking, but those used to an optical EVF might find they miss shots, as I did, due to this. Other annoyances include the occasional operation error. Fortunately, all of those concerns can likely be addressed via firmware. But something that can't be fixed so easily is the lack of weather-sealing on the battery door, which concerns me when it comes to the longevity of this camera – I'd hate to recommend a product that might fail due to a little water. Adding to my concerns, our pals over at Imaging Resource ran a sort-of-scientific test looking at the weather sealing on high-end cameras, including the a7R III. The results were, to put it lightly, not encouraging for Sony cameras. Another hesitation in recommending the well-priced a7 III is the present lack of well-priced autofocusing glass available for it. One major reason I like to point folks to the D750, especially those on a budget, is due to the enormous catalog of autofocusing lenses offered for the system at varying prices. 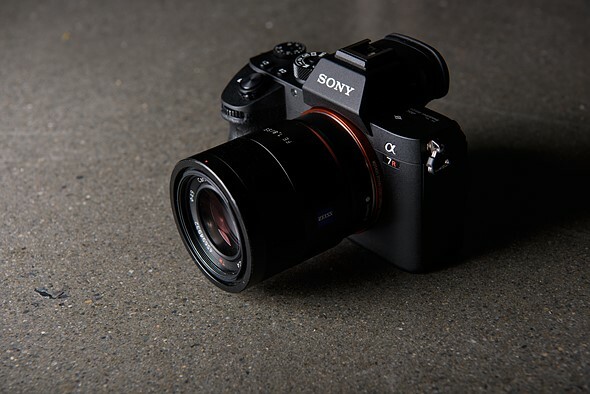 With Sony full frame, most AF lenses are pricey, large and the selection is currently limited. But it's encouraging to see third party lens manufacturers like Sigma, Tamron and Tokina getting into the FE game. 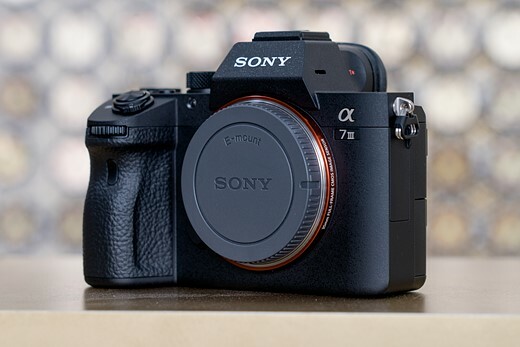 The a7 III is a lot of camera for the money and will likely be a technologically relevant product for quite some time – if Sony's a6000-series is any indication, the a7 III will have a long and fruitful product life, with price breaks every so often for years to come. My few hesitations aside, I feel that the a7 III gets enough right for the right price to almost certainly be my new go-to full frame recommendation moving forward. That said, I'm going to hold off making any serious recommendations until our full technical review – to be published soon – goes live. Nauticam announced the new housing for the Sony a7R III. Full info here. The post Nauticam announces the new housing for the Sony a7R III appeared first on sonyalpharumors.